Want it by Wednesday 24th April? Order within 2 days, 8 hours, 51 minutes and choose Next Working Day - Kerbside Delivery (Order Must be Placed by 2pm) at checkout. Newtown is one of the finest ranges in laminate flooring. This French Oak is a beautiful 4 sided V grooved product, adding definition and character to the plank and most of all to the room. 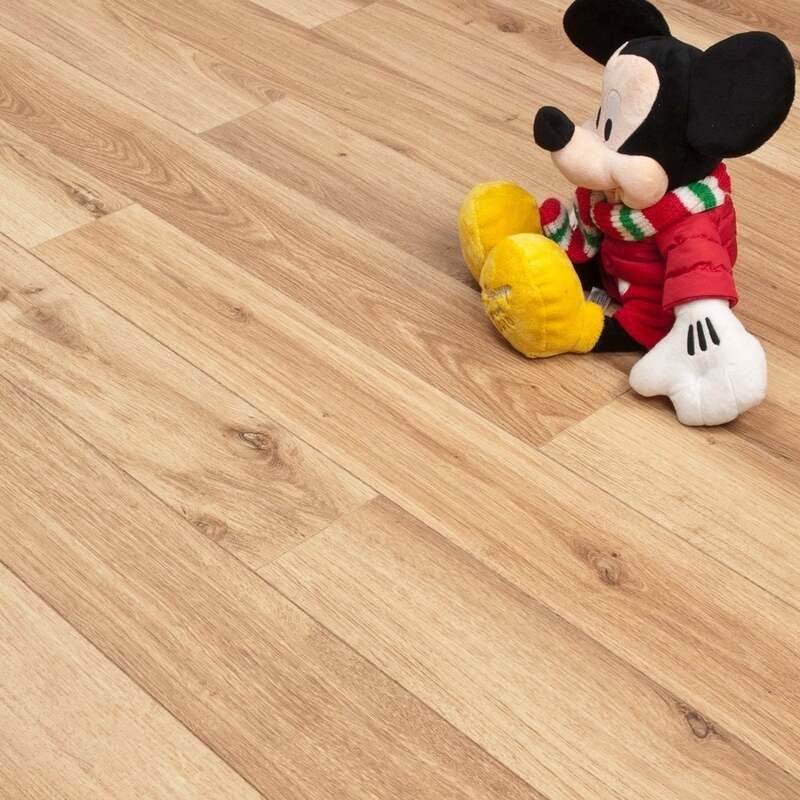 It's a warm oak colour, perfect for smaller rooms without much natural light. With a rich, honey tone to it, it works with all décors and styles to complete your dream home. Why not try our floor today and request a FREE sample?